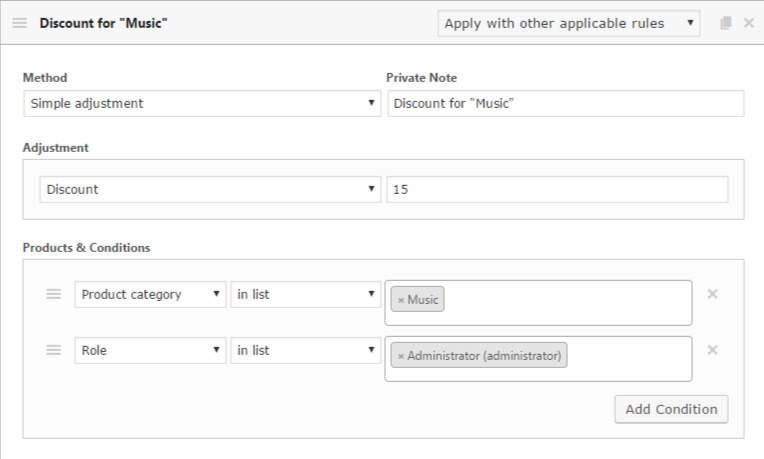 This will be applied to any product from specific category, but only for users with the selected role(s). 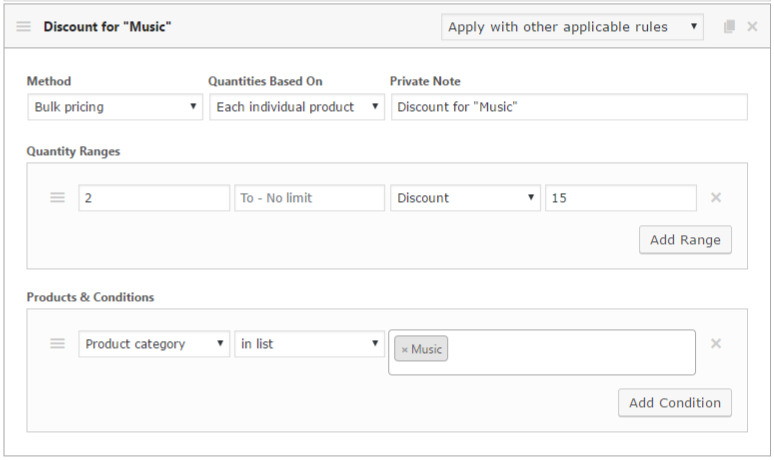 You can also add fee to some products. You can apply some adjustment based on date conditions. Tiered is almost the same as Bulk pricing, though it works a bit differently - check our article about that. This page will be updated with more examples later.